Psst... Can I let you in on a secret? That's right all EPDs are accurate. EPDs are calculated using a statistical procedure called BLUP. BLUP stands for Best Linear Unbiased Prediction. Because BLUP estimates are unbiased, they are all accurate. So, if all EPDs are accurate what is this accuracy we always talk about? Calling this measure an accuracy is a misnomer. 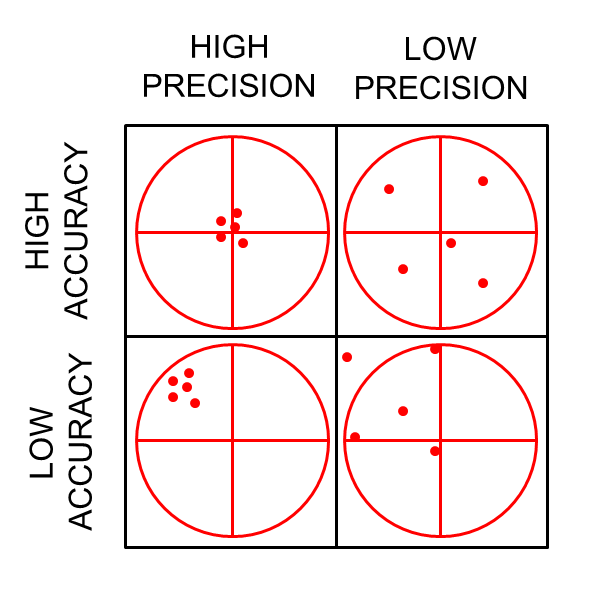 What EPD accuracy actual measures is precision. The EPD accuracy measures how precise the EPD estimate is. All EPDs are on the top row of the grid above. What is reported as the accuracy is a measure of the precision or reliability. 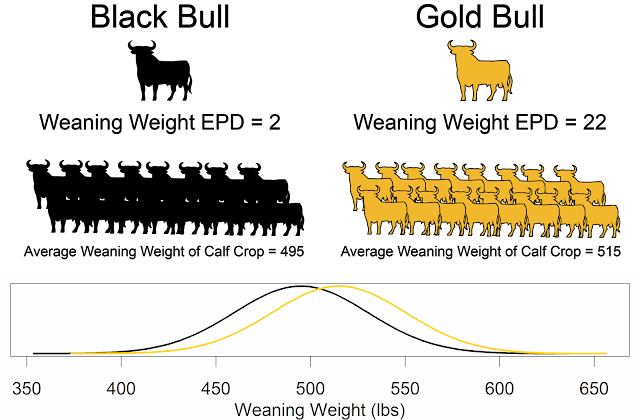 When animals have lots of data, the estimates are precise and there is a small difference between the true value and the estimated prediction. When animals have little data, the estimates are not precise, but the EPD estimates average out to the true values. This is why using many low accuracy sires (rather than a single proven sire) is an effective way to hedge against changes in EPD estimates. EPD precisions are a measure of risk. If you are very conservative and risk-adverse, use EPDs with high reliabilities (high accuracies). If you are more progressive and risk-tolerant, EPD reliabilities will be less important in your decisions. Hopefully breed associations can begin to update their EPD reporting practices. 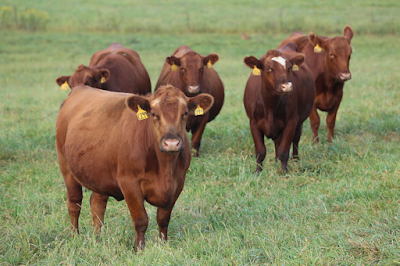 Dropping the misnomer of EPD accuracy and replacing it with EPD reliability (dairy breeders use this word) or EPD precision would be a great change to make EPDs easier to discuss and understand.